This interview originally broadcast on CKUT 90.3fm in Montreal and highlights the gaps in mainstream reporting and the constant focus on police narratives that dehumanize the victims. Looking specifically at the case of Jean-François Nadreau, killed in a hail of police bullets at home two winters ago, this interview details the underreported aspects of the growing number of police shootings deaths in the city. This interview was broadcast in the lead up to the annual protest against police brutality in Montreal that takes place on March 15 each year. Interview with Simon Van Vliet on policing issue and homeless by Stefan Christoff. 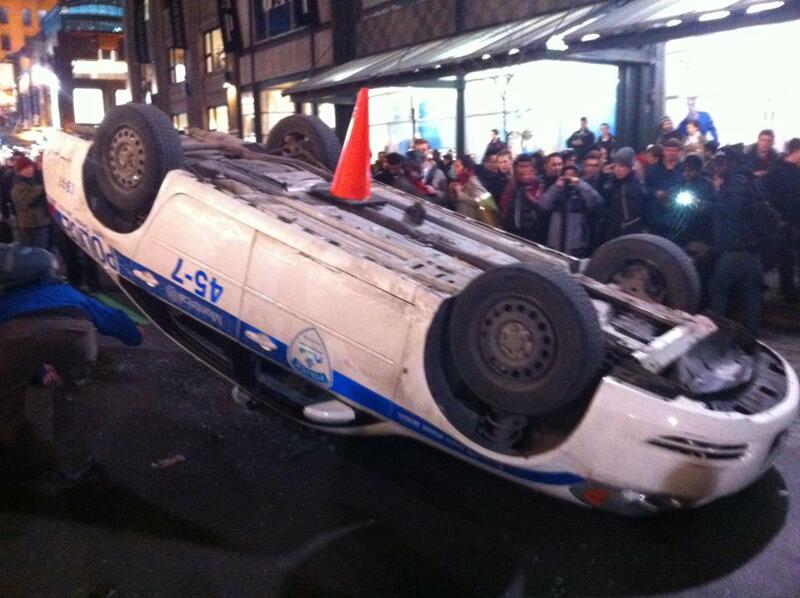 Stefan: We are going to be addressing the issue of police brutality and the crisis of police killings in Montreal. More specifically, we are going to be looking at the case of Jean François Nadreau, who has been killed in February 2012 by a police shooting at his home in the east end of Montreal. Just like week-end, there was a visual to commemorate the two years anniversary of his death, and this of course is taking place within the context where we see a broader spike in police killing in the city. Of course, within the last two month we saw the death of Donald Ménard, who has been killed in a rooming house in Centre-Sud (killed November 11th 2013). And more recently, Alain Magloire who has been killed close to Berry UQAM, metro station in downtown Montreal (killed February 3d 2014). Both of these people were unarmed, and so to talk about this crisis and violence taking place in the street, I am joint by a fellow independent journalist, Simon Van Vliet, contributor at CISM FM radio, good afternoon and thanks for joining us today. CKUT brings to you an update about the12th annual Homelessness Marathon, which will be broadcast on CKUT from 5pm Wednesday until 9am Thursday, February 26th. 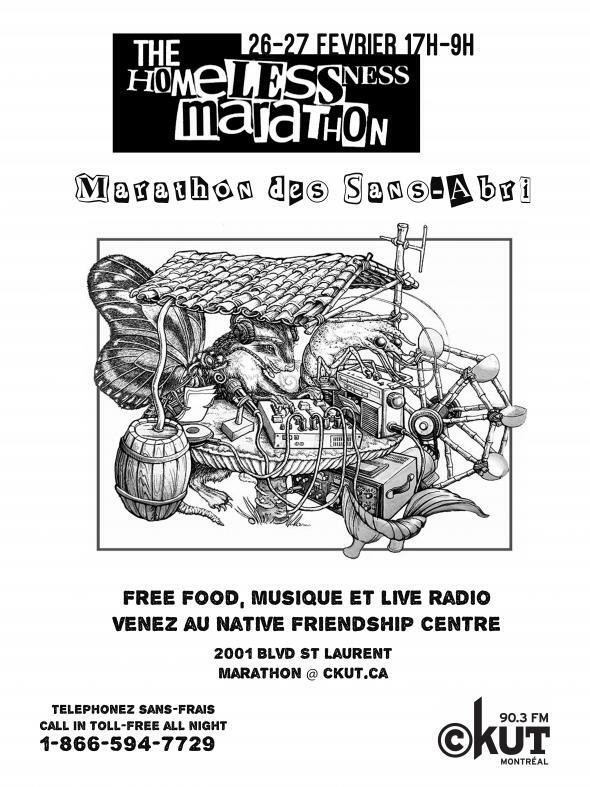 CKUT's Carla Greene spoke with Chesley Walsh, CKUT's marathon coordinator, as well as Sheila from Radio Moon, about this national radio event. 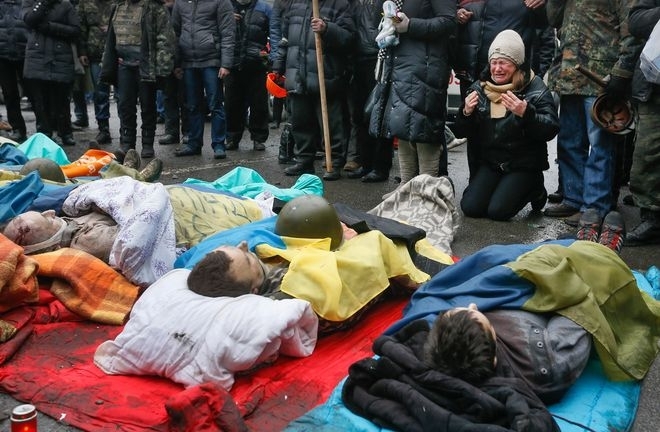 CKUT brings you special coverage from Ukraine of Black Thursday, or the February 20th Kiev Massacre, which took the lives of almost 100 people. 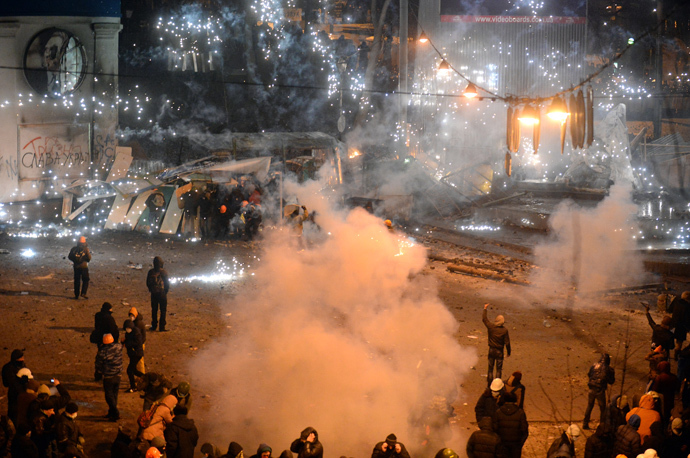 CKUT’s own Tamara Filyavich spoke with Valerii Dorotenko, an independent media activist from Kiev. Dorotenko has been involved with the current protests for almost a year and has been running a live tv internet stream at splino.tv. The testimony sheds some light on what happenedand gives an update on the current situation. A puppet show about the expansion of the tar sand industry in Canada will be performing in Montreal next week. 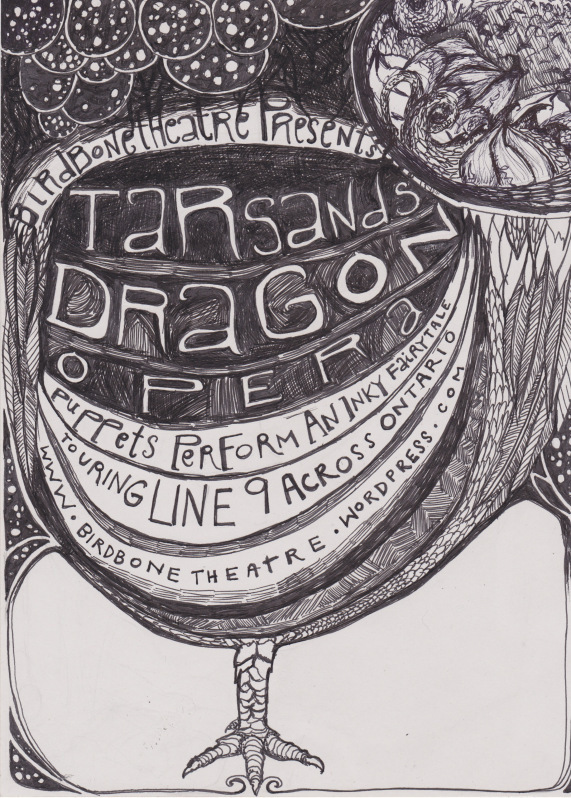 The Tar Sands Dragon Opera is a shadow and marionette puppet show which is beautiful, absurd and understated and is touring communities affected by the proposed transportation of “tar sand oil” from Sarnia Ontario to Sherbrooke Quebec. CKUT spoke with Daphne Ben-David from Climate Justice Montreal who is helping organize the puppet performances. You can find all the info on the performances at Birdbonetheatre.wordpress.com. After months of ongoing protest, the Maidan, the central square in the heart of Kiev, has been the scene of intense violence over the last 72 hours with more than a hundred killed, citizens and protestors targeted by police snipers or gunned down by special forces using automatic weapons. The videos, photos and eyewitness accounts of a city in flames and a people in open revolt against their government are shocking. How did Ukrainian society reach this point? Off the Hour`s Andre Goulet spoke with protestor and PhD candidate at the University of Ottawa, Natalia Stepaniuk, to find out. Jonathan Brun is a web entrepeneur and advocate of transparency and open data. 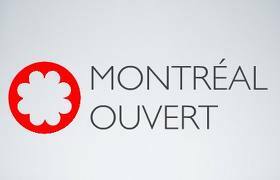 He co-founded Montreal Ouvert in 2010, a citizen initiative that promotes open access to civic information for the region of Montreal. The city unveiled an open data portal fourteen months later. CKUT’s Una Jefferson interviewe Jonathan during Off the Hour on Friday, February 24th. A collective of Muslim women in Montreal have launched a Zine about feminism, identity and islamophobia. 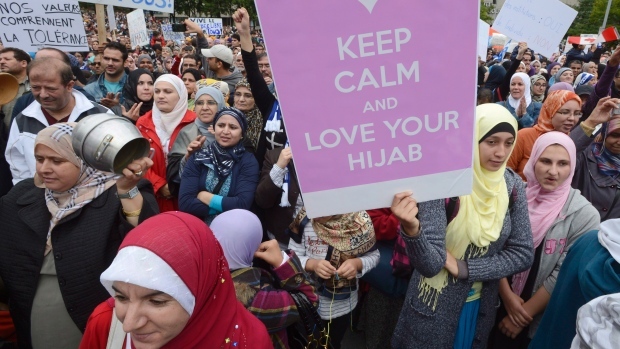 On February 9th, several of them presented at a panel that aims to inspire young Muslim women and challenge the dominant discourse that sees them as passive victims. CKUT’s Justin Brown spoke to Sarah Mostafa-Kamel who coordinated to project and she told him about the stories she collected.